Our core IT managed services offering solves our customers’ problems with the design, construction, and management of their Information Technology systems. We provide ITS professional services on a managed services platform; our core business responds to an unmet market need and strengthens our competitive position and creates a win-win situation where we can provide substantial savings to our clients. Organizations seek to reduce costs yet improve technologies. Often, this requires changing or adding technical staffing to support the organization. Managed IT services allow for small and mid-sized organizations to minimize in-house staffing and support, yet maintain that high-quality delivery and responsiveness required to support the business. Managed services comes in a multitude of forms and offerings, everything from monitoring and managing your network, assessing and recommending technologies, policies, procedures, and systems, developing short and long-term strategies, delivering that CIO or CTO management between IT, departments, and executive management, designing, procuring, implementing, and supporting your hardware infrastructure. Many possibilities exist. 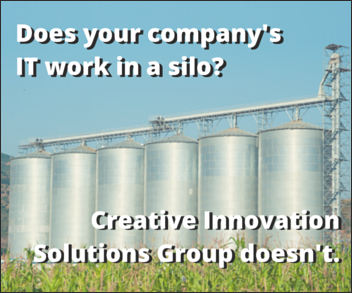 At Creative Innovation Solutions Group, we assess, recommend, plan, design, implement and manage your infrastructures and systems. 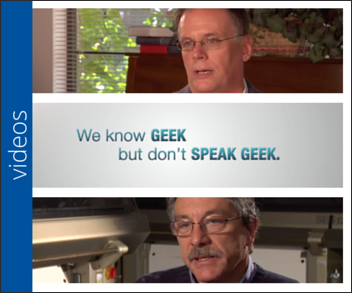 We monitor your systems 24/7/365. 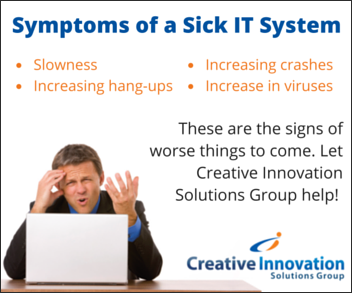 If something out of the norm occurs on your network at any time, our group is immediately notified. We then connect through a secure connection and begin the remediation process. We focus on the end user experience by providing the best approach with top tools and technologies to take you beyond the norm for other service providers. 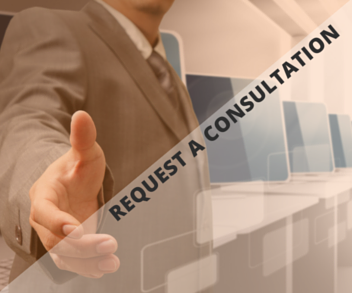 We provide unlimited on-site, remote and telephone help desk support for a low fixed monthly fee. We keep our clients’ networks in the most optimum, reliable, flexible and secure state by conducting preventative maintenance on your systems through daily/weekly and quarterly maintenance schedules. 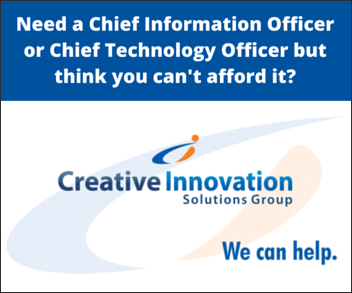 We assign you a dedicated Chief Information Officer (CIO) or Chief Technology Officer (CTO), who reviews monthly reports on every aspect of the network and our performance each month. These reports are provided to every client. The CIO or CTO also conducts quarterly meetings with the customer to review historical reporting as well as discuss technology roadmaps, business continuity, customer service, and budgets. We report on the performance of the managed technology systems and the investments that were made in hardware, software, and labor. Senior management in your organization must be aware of the status and how it relates to their investment. We monitor the performance of the IT support the end users (employees) are receiving, and the response and resolution timeframes. We focus our efforts to deliver the highest possible quality and most positive user experience possible. We look for trending in issues to proactively resolve future challenges. 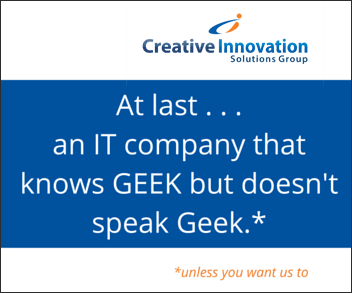 Contact us to learn more about selecting Creative Innovation Solutions Group as your managed services provider.